Only the mill run remains. On Dry Seneca Creek north of Poolesville. The mill was at NE corner of Dry Seneca Creek and Jerusalem Road. Ref: 1879 Atlas. 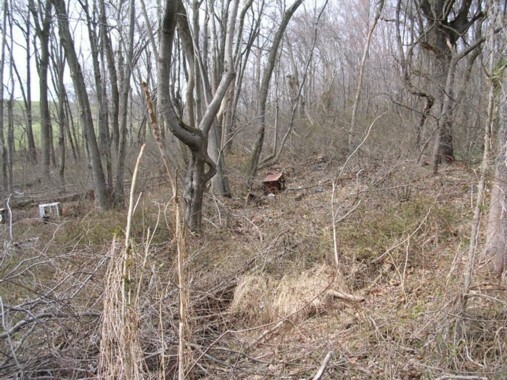 The remains of the mill run may be found about 8 feet above the flood plain on the side of a hill. It is about 30 feeet back from the road. A lot of garbage is in and around the mill run. Nearby is the ruins of a farm house. The chimney and foundation remain.